SHANGHAI, Sept. 28, 2018 /PRNewswire/ — On September 21, 2018, the CSCO precision medicine international session with the theme of “All-Round Research by Experts for Further Study”, hosted by the Chinese Society of Clinical Oncology (CSCO) and organized solely by OrigiMed Co., Ltd., was successfully held in Xiamen. At the conference, Beijing Xisike (CSCO) Clinical Oncology Research Foundation, East Clinical Center of Ontology and OrigiMed Co., Ltd jointly launched the Special Chinese Big Data Platform for Cancer Genomics Informatics, with the aim of establishing a special oncology genetic information database for the Chinese population and accelerating the innovation and development of precision diagnosis and treatment. This year is the 21st year of the CSCO conference. As an academic extravaganza of Chinese clinical oncology, the conference has drawn nearly 30,000 experts and scholars in the field of clinical oncology both domestically and internationally to gather in Xiamen, for the purposes of exchanging new research and catching up with peers – a truly fruitful event. The launch of the Special Chinese Big Data Platform for Cancer Genomics Informatics, as one of the most important pieces of news released at CSCO this year, marked that precision prognosis and treatment have entered the era of big data, representing CSCO and OrigiMed Co., Ltd‘s responsibility and commitment to the continuous promotion of the “Healthy China” national strategy. In response to the national health big data strategy, precision medicine, as a new model of medical care, has been established as the direction of future development of oncotherapy. However, information analysis and interpretation of genetic testing must be supported by powerful cancer genomic data for both oncology and clinical diagnosis and treatment. Clinical oncology’s demand for a complete and standardized collection of Chinese population genetic samples is growing stronger. 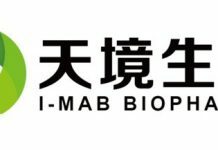 However, special Chinese oncology genomics related information databases are still at the exploration stage and regional databases are far from perfect, lacking key bioinformatics analysis to rely on, which has been a bottle neck of the industry. The initiative of the Special Chinese Big Data Platform for Cancer Genomics Informatics is targeting this bottle neck to make breakthroughs. The powerful OrigiMed bioinformatic algorithms and unique OrigiMed technologies of the future will safeguard the accuracy and reliability of bioinformatic analysis and provide database support for the rapid development of cancer precision medicine. 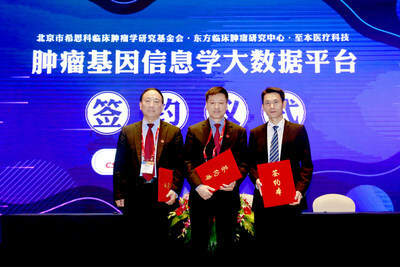 The Special Chinese Big Data Platform for Cancer Genomics Informatics was jointly initiated by Beijing Xisike (CSCO) Clinical Oncology Research Foundation, East Clinical Center of Ontology and OrigiMed Co., Ltd and proposed by Prof. Qin Shukui and Prof. Li Jin. Clinical oncology experts from nearly 40 large domestic A-grade tier 3 hospitals jointly participated in the building of the genomics informatics platform. The aim of the platform is to search for the driver genes of high incidence cancers specific to the Chinese population and also genetic information related to clinical data such as metastasis, relapses, efficacy and treatment toxicity, in order to carry out comprehensive cancer assessments and provide informational and technological support, accurate diagnosis, and treatment references for domestic oncology clinical research and practice. Wang Kai, CEO of OrigiMed Co., Ltd, said, “We would like to express our gratitude for the trust shown by CSCO in OrigiMed Co., Ltd. We have stayed true to our original intention of dedicating our effort to helping Chinese cancer patients. After the Special Chinese Big Data Platform for Cancer Genomics Informatics is launched, nearly 40 hospitals will participate during the first stage and OrigiMed Co., Ltd will provide more than 2,000 cancer patients of different types of cancers with WES whole exome sequencing and some deep sequencing of 450+ cancer core genes using the company’s Yuan Su 450+ series products, plus targeted clinical treatment plans. In the future, OrigiMed Co., Ltd will continue to contribute dedicated effort toward advancing R&D of China’s cancer gene testing and clinical diagnosis in order to further the development of the clinical testing of cancer genes in China. This year’ CSCO precision medicine international session was for the first time, organized by OrigiMed Co., Ltd with the theme of “All-Round Research by Experts for Further Study.” The conference attracted nearly 600 cancer clinical experts from all corners of China. There were four major segments, including Sino-U.S. Dialogues, Multi-dimensional perspectives, Exploration and Discoveries and the ceremony to launch the clinical project. Many domestic and international top experts were invited to the conference and gave presentations, including Prof. Martin J. Murphy, Prof. Matthew Meyerson, Prof. Patrick Ott, Prof. Zhang Jianjun, Prof. Qin Shukui, Prof. Li Jin, Prof. Shi Yuankai, Prof. Zhou Caicun, Prof. Shen Lin, Prof. Xu Binhe, Prof. Liao Nin, Prof. Zhu Bo, Prof. He Yong, Prof. Fang Wenfeng, Prof. Li Li, Prof. Cai Xiuyu, Prof. Shi Weiwei and other domestic and international eminent guests. The guests shared their latest research and engaged in animated and in-depth discussions on cutting-edge topics from tumor heterogeneity to personalized new antibody vaccines and investigations of precision treatments of lung cancer, breast cancer and gastric cancer; from the single-target drug design era to the era of pathways and multi-dimensional biomarkers, and new discoveries from the Chinese population and the exploration of multi-dimensional biomarkers. OrigiMed (Shanghai) Co., Ltd focuses on R&D of international new technologies and their application in oncology and dedicates itself in pushing forward the clinical testing of hundreds of cancer genes and providing every patient with comprehensive and accurate molecule level information to assist doctors with their precision treatments and advance the reform of clinical treatment methods for Chinese patients. The company’s headquarters are located in Shanghai Pujiang Hi-Tech Park and it has set up branches and medical testing facilities in Shanghai, Shenzhen, Jinan and Fuzhou, covering a total area of 12,000 square meters. OrigiMed Co., Ltd has developed gene testing products of tissue DNA, RNA and plasma ctDNA, targeting different clinical stages, using second generation high-throughput sequencing technology, featuring the testing of hundreds of cancer related genes and covering all types of solid tumors. The company has also developed the industry’s first precision treatment data sharing and patients follow-up APP, namely, Dr. Ground Hog and its service network covers more than 200 core hospitals in all five major regions nationally.